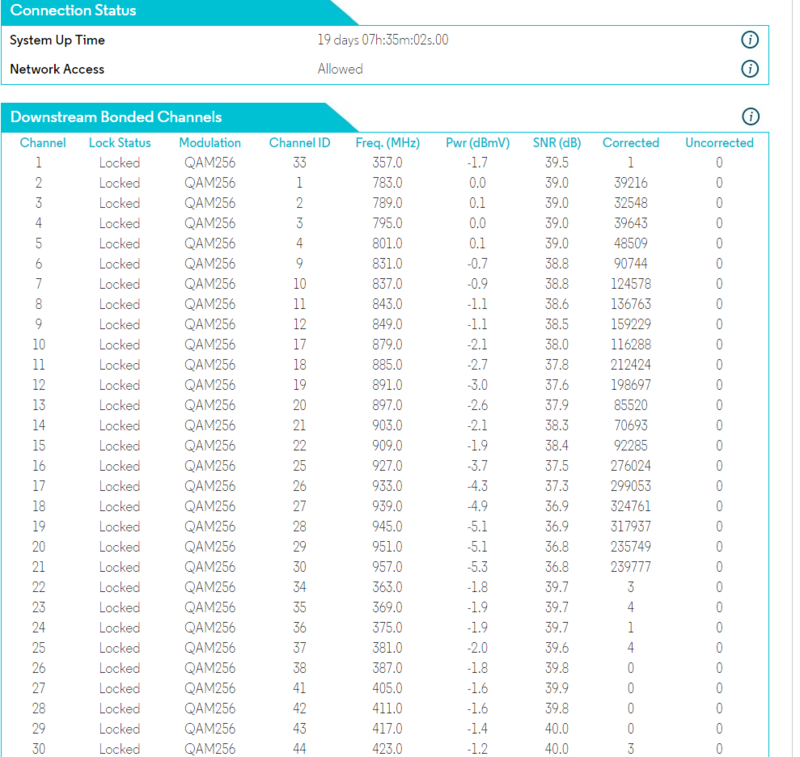 For clarification of anyone following this post, this issue of consistent packet loss has been interrupting my internet for over a year. Cox has had an official FCC complaint open since early August, 2018 and have failed as a company to correct the issue I'm facing for nearly five months, despite replacing the entire run RG6/11 run from my modem direct to the nearest neighborhood node, and after I replaced my modem and router several times to demonstrate the issue to be external to my home. This specific response was supposed to be received no later than Wednesday December 12 and is now almost a full week beyond when I was told I'd receive a call specifically from field techs regarding this issue. I'm not sure why it's taking this long to hear back internally, unless nothing is being addressed internally. The neighborhood or area infrastructure is either faulty or incapable of handling the amount of traffic going through the node(s) during peak times and packet loss/high latency is occurring as a result. This is likely as the issues usually occur during peak times. 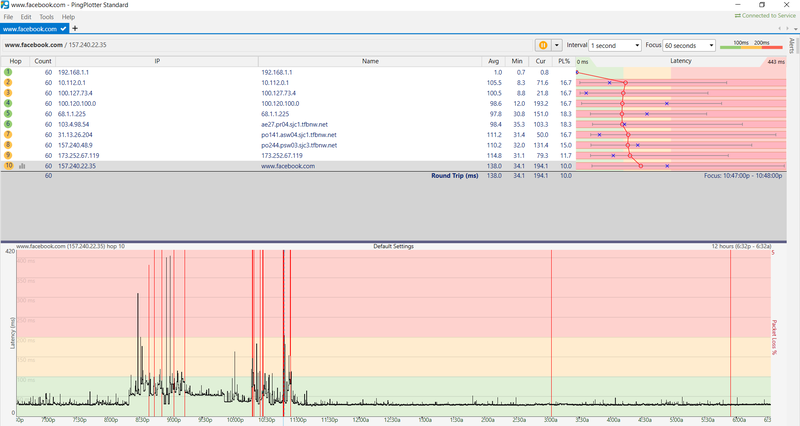 Excess noise is entering my network as a result of a neighbor's connection problem. 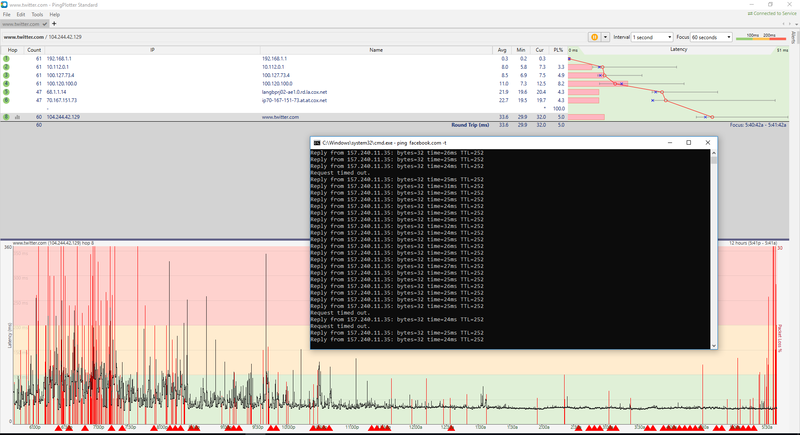 This was a guess by the last in home tech who confirmed packet loss while excluding my entire internal network. 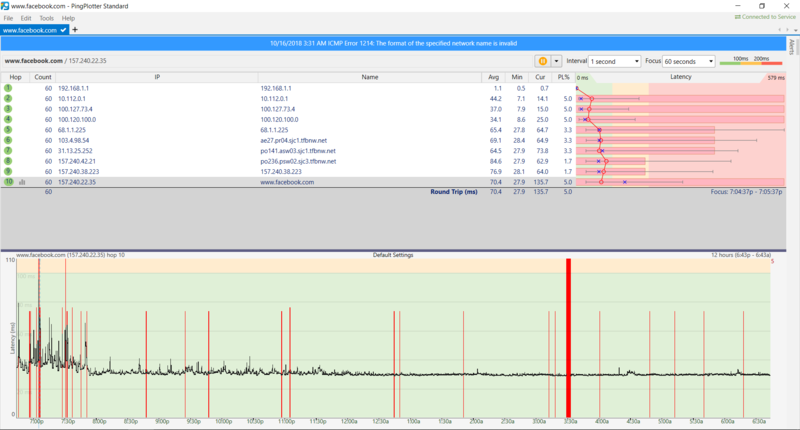 Network partners like Level 3 aren't able to handle the added bandwidth of Gigablast/or can't handle the amount of traffic in general and are dropping packets/increasing latency as a result. You'll note that none of those options are under my control as a consumer. They can only be corrected by Cox themselves working either internally or with network partners.